The classes will require a minimum attendance of 5 people unless otherwise approved. A maximum of 12 people per class will be accepted on a first come first served basis. Anyone from 10 yrs to100 years is welcome. Younger paying participants need to be approved and accompanied by fee paying adult. Seniors over 65 eligible for10% discount by request. The inclusive fee of $70 per session covers materials, advertising, building rental and instructor's fee. Enroll in all five classes for $300 ($270 for seniors). Food is available within easy walking distance. Framing of matted student work is possible (optional) after class for an additional (at cost) fee. Call Walter for details and/or to sign up for one or more of the classes. The class subjects will not repeat in this series. Students should call to confirm a place by early 2007 for the January 14th session (or any of following sessions), and for information regarding sending payment. 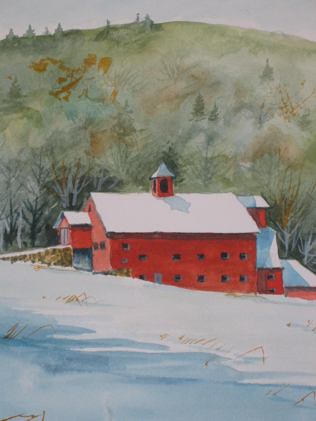 Walter Cudnohufsky is a landscape architect and watercolor painter of local New England scenes and moods. 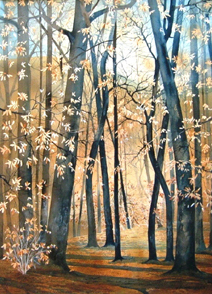 View portfolio and available paintings at the artist's website. Résumé available upon request.